I've been having some manic pregnant lady moments and I am pretty embarrassed about it. 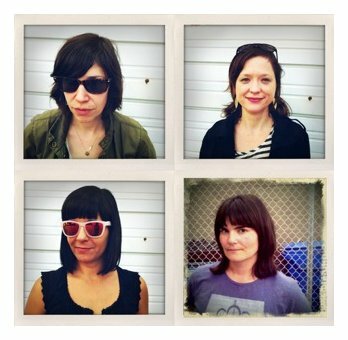 I will say this, my Sleater-Kinney girls are helping me through the crazy times when I am on a cleaning frenzy or fretting over my to do lists. If you find yourself having a "moment" this week, give Wild Flag a listen. i SO want their masks!!! i hope tuesday finds you smiling and not fretting over any lists. missing you and sending lots and lots and lots of love your direction!